Mazda Hazumi is a concept for B-segment Car (hatchback / Sub-Compact Car). Hazumi is claimed as prospective third generation Mazda 2 or Mazda Demio in the Japanese market. When introducing the concept car Hazumi in Gims, Managing Director of Mazda Motor Europe, Jeffrey Guyton said, Mazda Mazda Hazumi a new platform in the B-segment class that carries SkyActiv technology as an answer to the needs of the future. "Hazumi is a combination of transmission, engine, suspension, chassis, and body design scheme SkyActiv technology. Presenting the exciting and handling accurately, dynamic alloy design, optimum performance, '"fun to drive'", as well as fuel efficiency, " He said. The time span of the presence of the All-New Mazda 2 intangible concept car to production car officially as arguably quite fast. This statement according to Executive Managing Officer; Mr. Masahiro Moro, Global Marketing, Sales Innovation, Customer Service of Mazda Motor Corporation (MMC), that the market prospects of the B-segment car or hatchback subcompact are in demand in various countries around the world. Therefore, Hazumi soon enter the production line around the end of 2014 replaced the second-generation Mazda 2. According to Moro-san, as the segmentation is 'first class' current development, Hazumi as the latest model Mazda 2 hatchback developed with reference to the success of Europe as VW Golf / Polo, Audi A3, BMW 1-Series, Mercedes-Benz A-class, Peugeot 208, and the like. "The taste of driving, interior design, fuel consumption up to the performance Hazumi Concept, referring to the premium European hatchback," said Moro-san. Yes, the All-New Mazda 2 third generation that I try this, comes with a drastic and revolutionary changes in stature and features carried. The platform is now no longer shared with the Ford Fiesta as the previous generation. All New Mazda 2 now carrying the platform, design, technology, and features a completely new department. All of which are summarized in the application of SKYACTIV technologies at the design of the body, chassis, suspension, engine, to transmission, to generate optimum fuel economy, driving performance and advanced of fun to drive when driving. Like the previous model already adopted the features SKYACTIV Technology, Kodo-Soul of Motion, and i-ACTIVESENSE the Mazda CX-5, Mazda6 and Mazda3, according to Ayumu Doi, Program Manager of the All-New Mazda2 MMC during a briefing before the event mentioned products, the All New Mazda2 trying to bring the sensation of driving character that blends between the driver's car, the jubilant 'fun to drive', which gives pleasure and satisfaction while driving. Adoption Kodo design, making the All-New Mazda 2 changed completely than ever before. The dynamic silhouette application that takes inspiration from the 'pouncing motion' a Cheetah, providing a strong sporty character in the whole body of the All-New Mazda 2. Cursory look, all-new Mazda 2 is greater stature thanks to the increasingly blossoming into a 2.580mm wheelbase than before 2.490mm. Similarly, the dimensions of the body to grow large, original size 3.903mm (length), 1.695mm (width), and 1.475mm (high). The All New Mazda 2 now becomes 4.070mm (length), 1.730mm (width), and 1.450mm (high). As a result, the interior and cabin All New Mazda 2 offers the spaciousness of the room legs, shoulders, and head are more spacious and better vehicle handling. Design windshields, side to the rear is also larger for easier visibility driving. Design headlights made firm and sharp, like a beast resembling eyeballs being vigilant. Similarly, the design of the rear lights are sharp and pointed, reinforces this car sporty elements. The appearance of the interior is no less interesting. 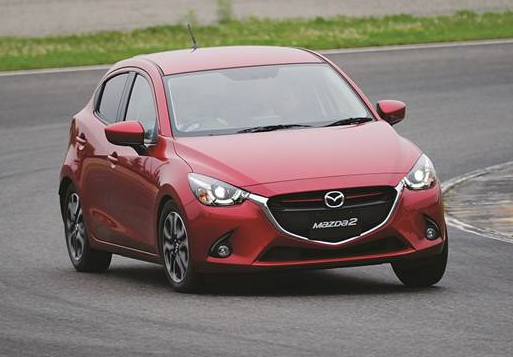 As in the original called, design all-new Mazda 2 hatchback refers to a European-made stylish. 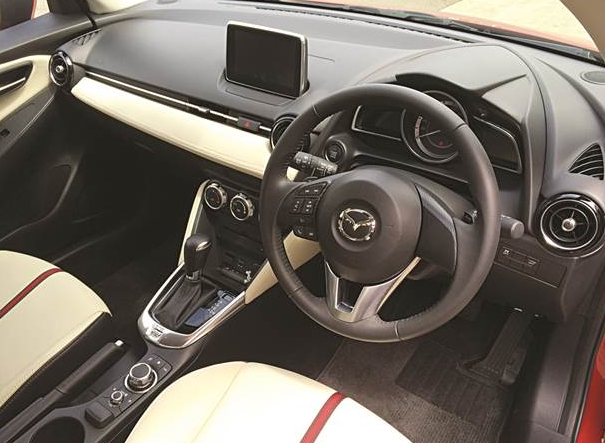 No wonder that the material and the all-new Mazda 2 interior detail looks elegant and luxurious, like a European compact car. Consider just a dashboard design reminiscent of famous vehicles from Germany. Simplicity of prestige than the competitors of this car in its class. The leather upholstery applications becomes the luxury interior. In line with Ayumu Doi, Kengo Fukushima, Vehicle Development Division MMC product briefing before the trial began, said engineering process driving the all-new Mazda 2 is focused on intensive communication between the driver with his car. In this case, the position of sitting, the body typically sustain seat, The response of driver when the car moves and maneuver, until the existence of the instrument panel buttons that help driving, specifically designed in order to create pleasure as well as a fun drive. " after a test drive the All-New Mazda 2, you will be interesting and eager to continue, and drive it back without feeling bored, We hope that," said Fukushima-san. The design of the suspension, frame and body are new with SKYACTIV CHASSIS technology applications and SKYACTIV BODY, will giving a new taste of different control. The movement of the steering wheel and the body feels sharp and agile. Eeach capable of footing the gas or brake quickly translated so that handling and maneuverability compact hatchback is easily controlled. Rigidity effect of slamming hard suspension system while the track circuit, but capable of good muffled thanks to the thick upholstery foam contour. When extreme maneuver twists 'S' with a rather high speed in sharp turns, the oversteer, bodyroll and understeer was minimal. The sensation of driving an easy, stable, agile, and responsive as desired in an early draft, more so in the All-New Mazda 2 compared the previous model. SKYACTIV-G engine performance 1,5L with maximum power 115hp at 148Nm maximum torque following 6.000 rpm in 4.000 rpm feels so exciting. Power to the wheels feels linear and solid in every round. 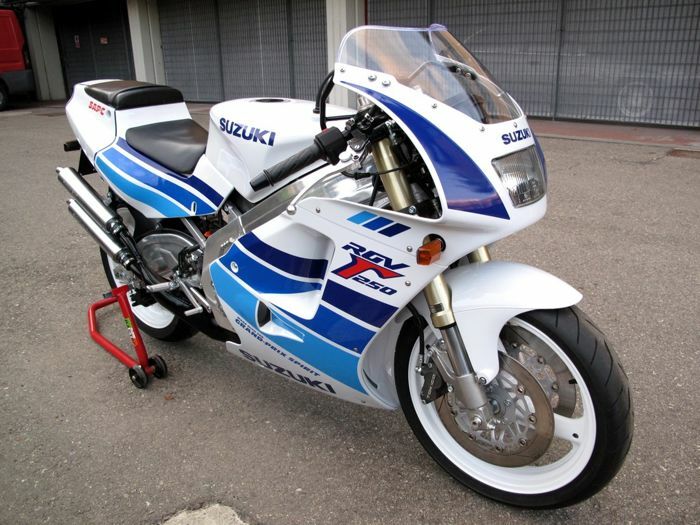 Quickly respond to the will of the rider. Applications SKYACTIV-Drive automatic transmission 6-speed with paddle-shift mode and 'S' harmonious aspects bring 'fun to drive' her. SkyActiv-Drive compact, lightweight, low friction, fuel economy 6-9%, tug gently tugs minimal and responsive paddle-shift. 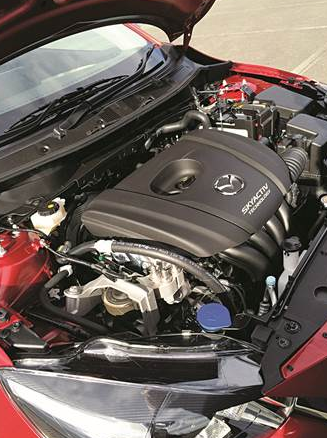 Another version, available manual transmission SKYACTIV-M / T with 6-speed as well. In the first round, I tried to position the transmission in D to study the response of the automatic transmission. So ahead of the second lap, I play paddle-shift to feel the sensation of suspension reliability engine power and responsiveness of the smart transmission. And give the result Quite satisfaction. Synergy produces three stable handling when accelerates and taking sharp corners. The tire size 185/60 -R16, seems to help to control and traction to the asphalt. In addition, there will also features the i-stop, which automatically turn off and turn on when the engine stalled. The engine starts automatically when the brake pedal is released and the gas started to stand on. This restarts the system only takes about 0.35 seconds to become active. Other modern features, i-ACTIVSENSE milliwave radar device that carries a near-infrared sensors and laser sensors to detect hazards, impact, and minimize the damage caused by the accident. Mazda 2 also carry the features of Active Driving Display which displays speed and navigation information through the reflection of the driver's windshield, so it does not eliminate the concentration driving. This feature is integrated MZD Connect to simplify the activity and safety of driving. 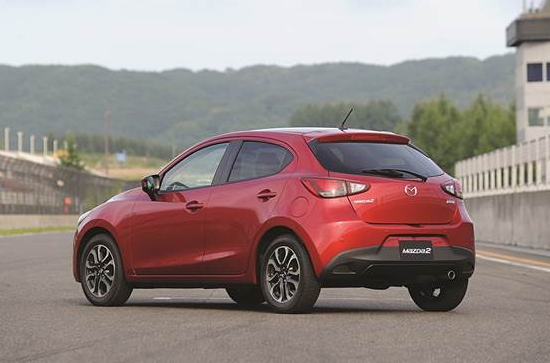 With innovative features and complete, plus the fuel efficiency claims following a fresh Kodo design view, the presence of the All-New Mazda 2 should be wary of other compact hatchback.